Keeping it simple this month because I've been sticking to my routines, suffering from a dermatitis flare up (which is now under control) and also not really going anywhere to have any reason to put more makeup on than a bit of concealer and lip balm. My first fave is more of a proud accomplishment. It's a lipgloss that I made myself, yep. I MADE IT. I reviewed the Silk + Honey Lipgloss Kit for Nouvelle (see here) and created a deep fuchsia shade of gloss for my first go and love it! i'm not really a gloss kind of gal but it makes a big difference when you've made it yourself ;) It was super messy though so I'll be waiting a little while before I crack out the kit and make a second shade! The second makeup item is the W3LL People Narcissist Foundation & Concealer Stick. I bought this last month on my trip to London for the Field Trip Tour after wanting it for oh so long. It's like a big sister to my Vapour Illusionist Concealer, a little creamier and higher coverage. I have the palest shade and it's incredibly neutral toned and perfect, not too yellow or pink. I should have taken the lid off in the photo to show you, oops. I use it mainly as concealer as it's a little too creamy for my skin all over but I do apply it lightly every now and again. There honestly couldn't be a more prefect colour match for my skin, I think I need their mineral foundation now too. Skincare wise I've been really enjoying using this Herbfarmacy Starweed Face Cream* as it's formulated for sensitive skins and amazingly doesn't have shea butter in like most face creams. 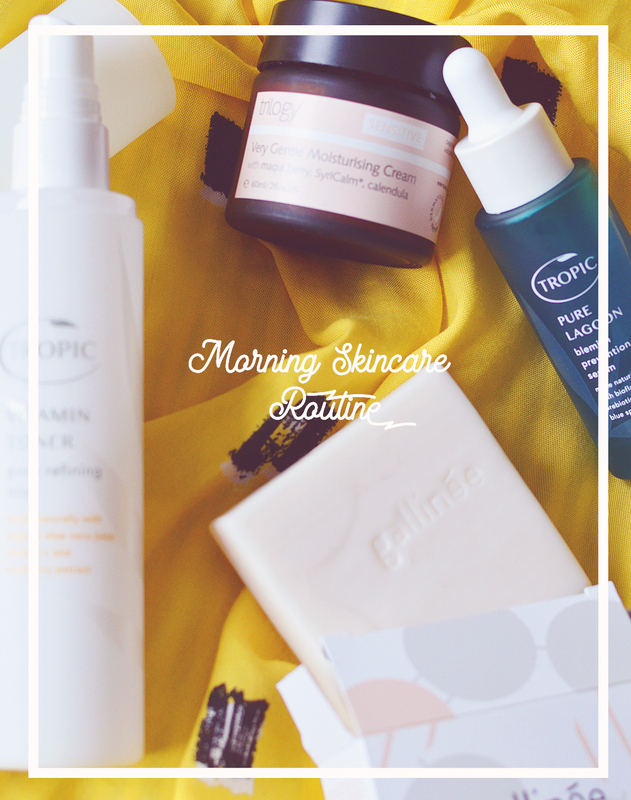 We all know how extremely fussy I am with moisturisers, but it's only because I have extremely fussy skin! This is gentle, light and fuss free, just what I need. 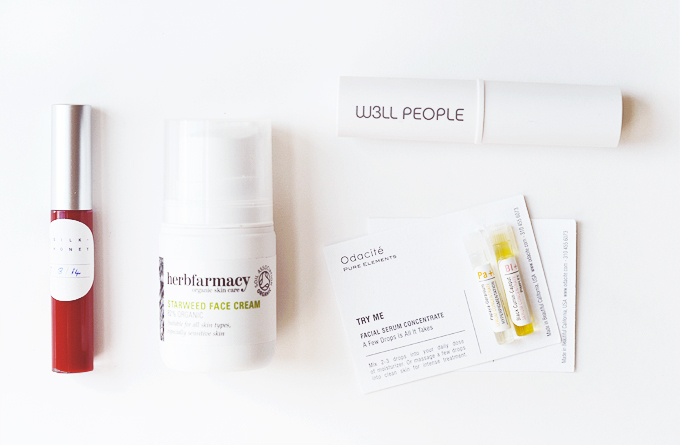 I have also been trying some little skincare samples* from Odacite the past week or two and their Pure Elements oils have totally blown me away. I have here two little sample vials of Black Cumin & Cajeput (for spots & acne) and Papaya & Geranium (for hyper pigmentation). I've been mixing them together or just applying separately them where I needed them and since introducing them my dermatitis completely calmed down (it didn't disappear but still impressive as the oils aren't really for that) and my skin is really improving slowly but surely. I only use a tiny amount which is why I can make them last but I do have a full size of the Papaya one ready to go when I'm done. I'm hoping that one is going to be the oil to finally help my milia as papaya contains enzymes to exfoliate the skin while still being a gentle, non-irritating oil. I will review these in full soon but in the meantime I'm totally eyeing up their Camelina & Chamomile element for sensitive skin, dreamy. Love the look of that gloss, such a pretty colour! They sound amazing! The Silk + Honey Lipgloss kit seems fun! The foundation stick sounds lovely, I do the idea of sticks for foundations!